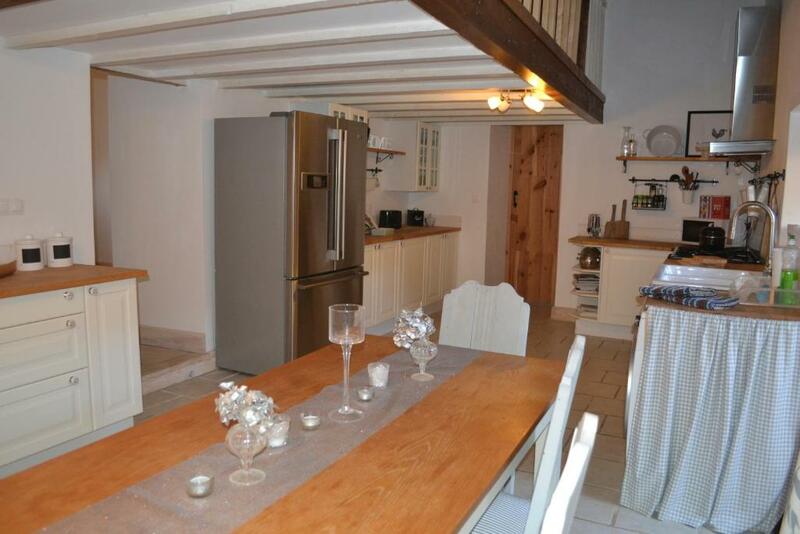 It is a HUGE well furnished house with a great kitchen and lovely bedrooms and bath. So cute! So much attention to detail has gone into this house and the owners are delightful. Great hosts - very warm and friendly. Provided wonderful selection of charcuterie and cheeses in the fridge on arrival as no restaurants open on Sunday evening round that area. The house was toasty due to the roaring log fire in the woodburner set by Pat, our host. He came in each day and laid the fire so we would be warm on arrival home! Lovely breakfasts - nut and multi-grain breads, baguette, butter, jams, croissants, pain au chocolate, juice, fresh coffee...Lovely smell of woodsmoke from the burner. The pingpong table and the pool and outside areas. Alex and Pat are really friendly and welcoming but discrete. 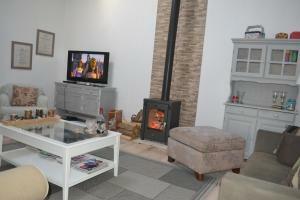 The gite is large but very cosy and would make your stay a hit winter or summer. All of it. 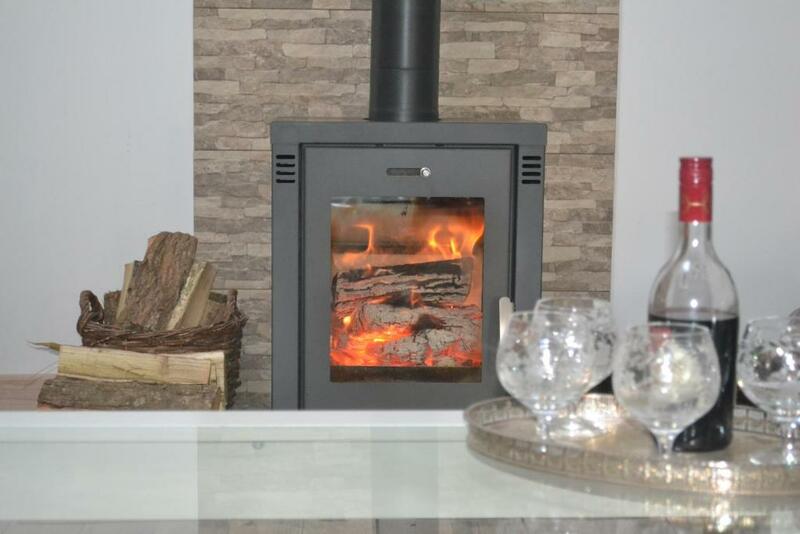 especially the design and space available and the log fire. 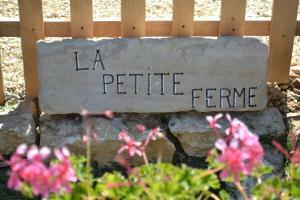 We enjoyed a wonderful weekend at La Petite Ferme with our children. We all had fun meeting and feeding the fish, donkeys, chickens and the neighbours' goats. There were loads of toys and books to keep us entertained since the weather was not good during our stay (and there were televisions and DVDs if we had wanted to use them). We really appreciated the log fire which kept us toasty warm. The kitchen was well-stocked, and the breakfast was plentiful and varied. Everything was very clean. The location was great for visiting the Vallée des Singes, and there were other things to do in the surrounding area. There were markets, supermarkets and restaurants within 15 mins drive. The hosts were very friendly and helpful - thank you. Highly recommended. A lovely log fire welcomed us and kept us really warm all evening. The property was bigger than we expected. and very quiet. Huge beautiful house, comfortable beds and very tastefully furnished, English tv was great, safe enclosed garden and all amenities provided with seemingly no expense spared. 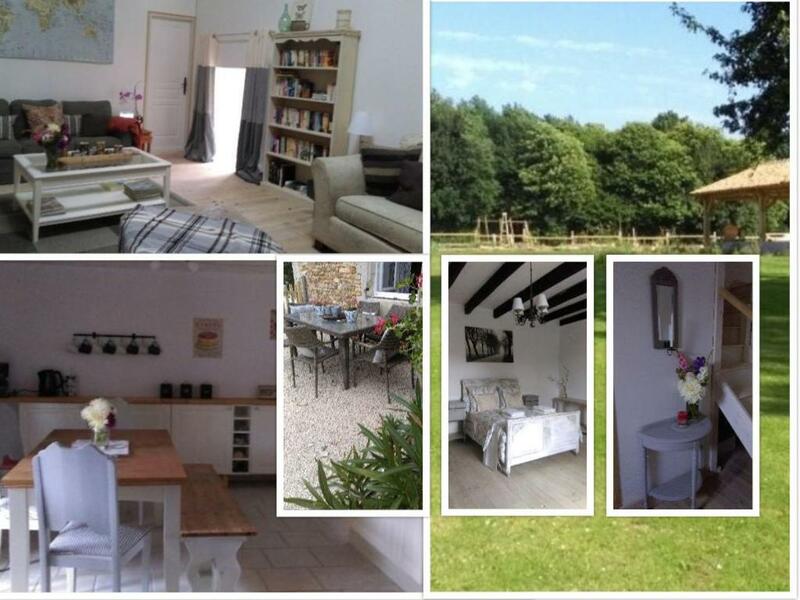 Lovely area with long walks for the dogs right from the front door and local English speaking vet for the pet passport. The hosts were extremely friendly and nothing was a bother but they were in no way intrusive, the breakfast they provided was well worth the additional daily cost. 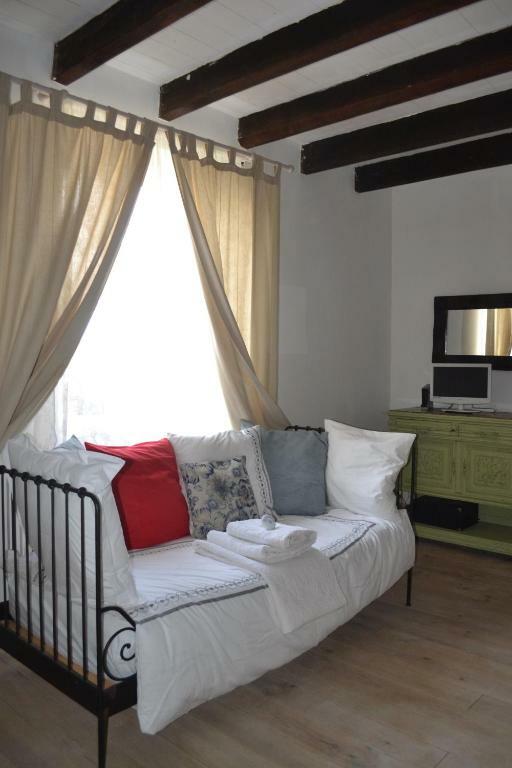 Lock in a great price for La Petite Ferme – rated 9.2 by recent guests! 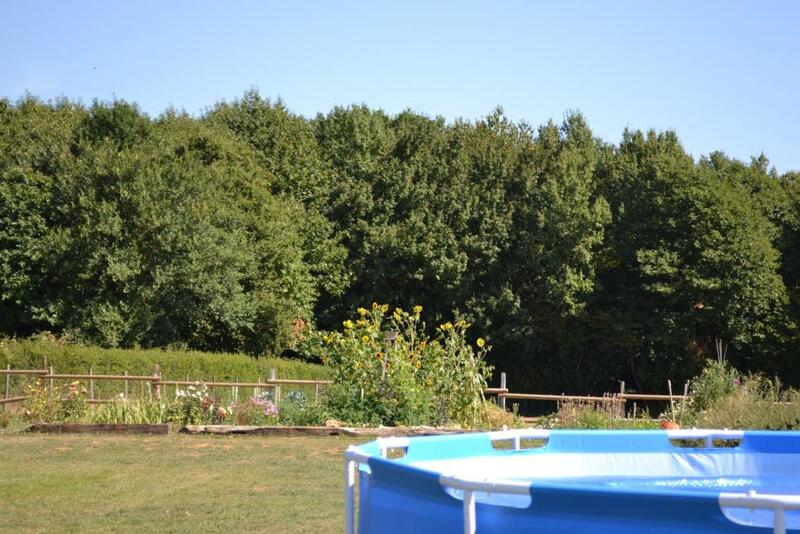 Locaed in a hamlet close to Brux, La Petite Ferme is a pet-friendly holiday home featuring a seasonal outdoor swimming pool, barbecue facilities and a garden. 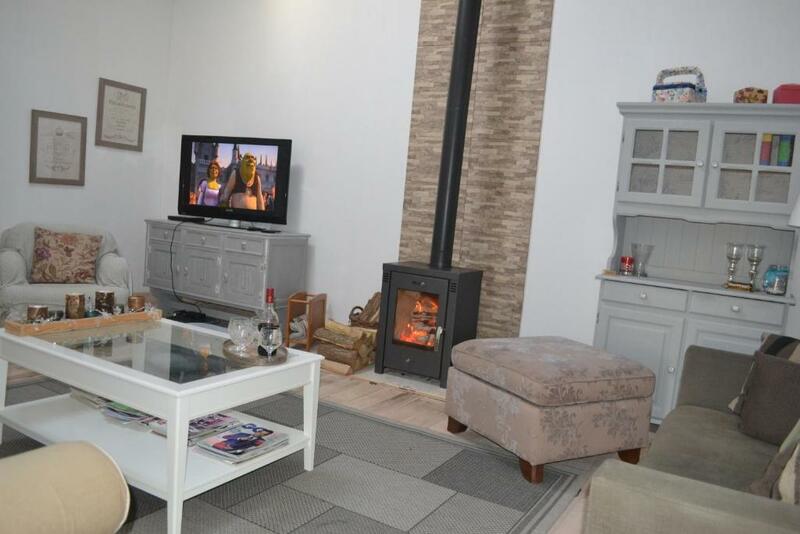 It features a fully equipped kitchen and a lounge with a woodburner. The holiday home has 3 bedrooms and 1 bathroom with a hairdryer. A flat-screen TV with satellite channels and DVD player is featured. A continental breakfast option is available every morning at the property. Poitiers is 23 mi from La Petite Ferme, while Chasseneuil-du-Poitou is 28 mi away. Poitiers Airport is 23 mi from the property. This property also has one of the top-rated locations in Brux! Guests are happier about it compared to other properties in the area. This property is also rated for the best value in Brux! Guests are getting more for their money when compared to other properties in this city. 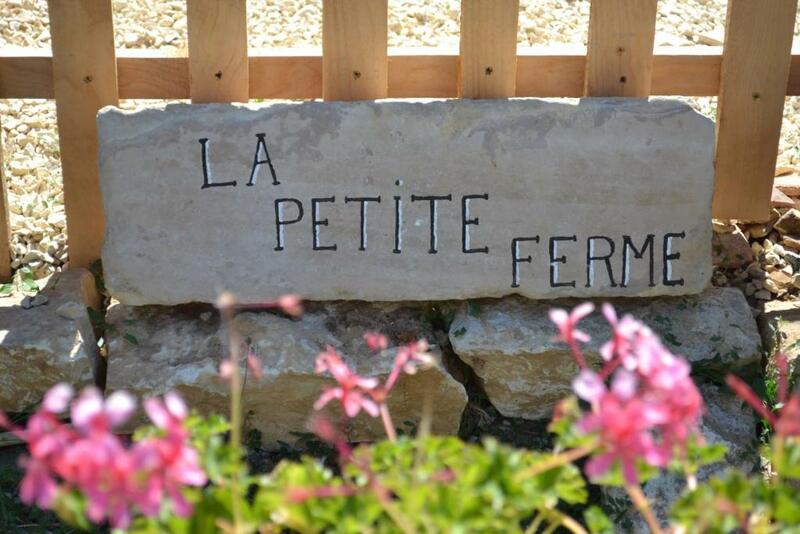 When would you like to stay at La Petite Ferme? This holiday home has a fully equipped kitchen with a washing machine and a cooker. We are Alex and Pat, and we moved to the Vienne in South-west France in April 2012, together with our border-collie puppy Lilly and our tabby cat Eric. We have since amassed many other animals, including another border collie, lots of chickens and 2 donkeys! We have spent the past few years renovating our house and others, in between exploring the area and sampling the local wine! Alex has a passion for all things French and antique, and interior design, so you will find La Petite Ferme decorated liberally with painted French antique furniture and interesting objects that she has collected, scouring the local flea markets and antiques fairs most sundays throughout the year! You will also find La Petite Ferme decorated liberally with fresh flowers from the cut flower patch,and, as we always grow more than we need, you will be treated to fresh fruit and vegetables from the potager garden and fresh eggs from the chickens! La Petite Ferme is well served with amenities, in the nearby village of Brux and town of Couhe, with a bakery van which calls twice weekly selling freshly baked bread and pastries. There is a great bar/restaurant under the covered market in Couhe (7 kms) (with another 3 within walking distance), a sunday morning market, banks, a post office and 2 large supermarkets. For peace of mind, you will also find 2 pharmacies, and a doctors surgery and veterinary practice (both english spoken). Details of other good restaurants and places to visit can be found in the welcome pack in the house and we will happily advise as well! The surrounding countryside of the southern Vienne, renowned as one of the sunniest spots in France, offers activities to cater for every interest. Whether you want to bungee jump from the viaduct at nearby L'Isle Jourdain, a thrill-seekers paradise which also offers a wide range of water sports, marvel at the UNESCO world heritage site of the Abbaye de St Savin, or simply sample the local wine at the nearby Chateau d'Epanvilliers, there is sure to be something to suit all tastes. House Rules La Petite Ferme takes special requests – add in the next step! A EUR100 damage deposit is required 7 days before arrival (about USD113.02). This deposit will be fully refunded 7 days after check-out, as long as there isn't any damage to the property. Please inform La Petite Ferme of your expected arrival time in advance. You can use the Special Requests box when booking, or contact the property directly using the contact details in your confirmation. A damage deposit of EUR 100 is required. The host charges this 7 days before arrival. That's about 113.02USD. This will be collected by PayPal. You should be reimbursed within 7 days of check-out. Your deposit will be refunded in full by PayPal, subject to an inspection of the property. Was a little difficult to find the exact property, maybe a sign on the door to make it obvious. The size of the rooms. Facilities available. The typical French beds; to short and narrow for a tall Dutchman. But this is how it is all over France, so I have to accept it. Pat and Alex were very friendly and helpful. Banging my head on the beams - otherwise loved everything! The only thing missing was a bed side lamp in the bedroom, everything else was great. We have stayed in many gites throughout France but this was without a doubt the very best. 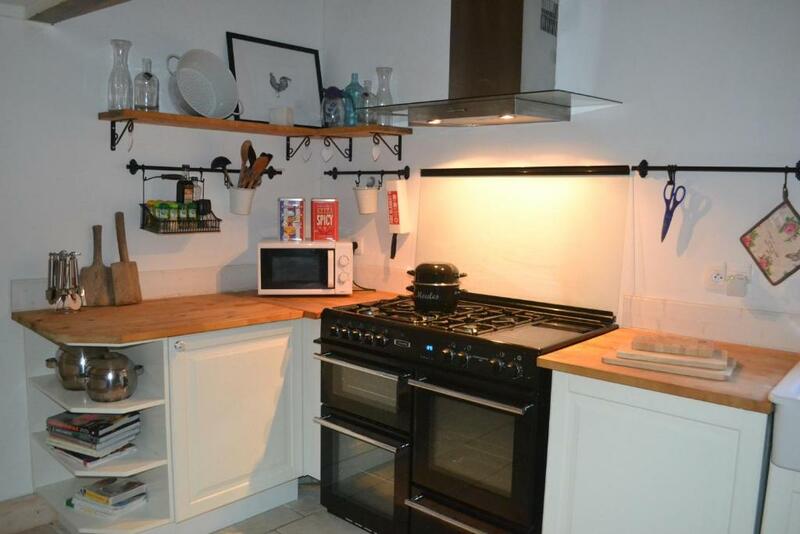 Kitchen fantastic for those who like to cook. Lots of basic ingredients in the cupboards. Comfy beds. Spacious. Enclosed garden for those with small kids or if bringing the family dog. Hosts live next door and so helpful. Beautiful countryside and villages nearby. Will be back!